This is what homelessness in America looks like: in 2006, Eljeana Lee had a job, a roof over her head, and a family. She was raising her two-year-old daughter while pregnant with her son, and she was working in a department for teen parents. But when Lee's department closed, she was left unemployed and without a home. Lee fell into the relentless cycle of homelessness and poverty that impacts one in every 200 Americans each year. However, unlike the shocking number of people facing homelessness, Lee was able to secure employment — and it was all thanks to a Detroit-based nonprofit called The Empowerment Plan (TEP). 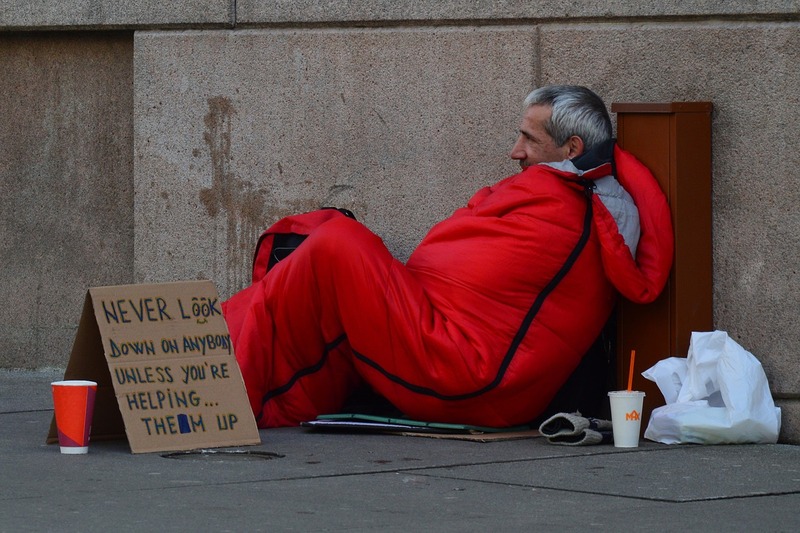 TEP employs homeless individuals to create coats that convert into sleeping bags. The nonprofit is part of a rising trend in sustainable development among businesses: employing homeless people to get them back on their feet. Here’s why this trend is a huge deal for businesses, the economy, and our homeless population. TEP points out that homeless people tend to get trapped in a vicious cycle because they’re forced to move between housing programs and shelters while they seek stable employment. 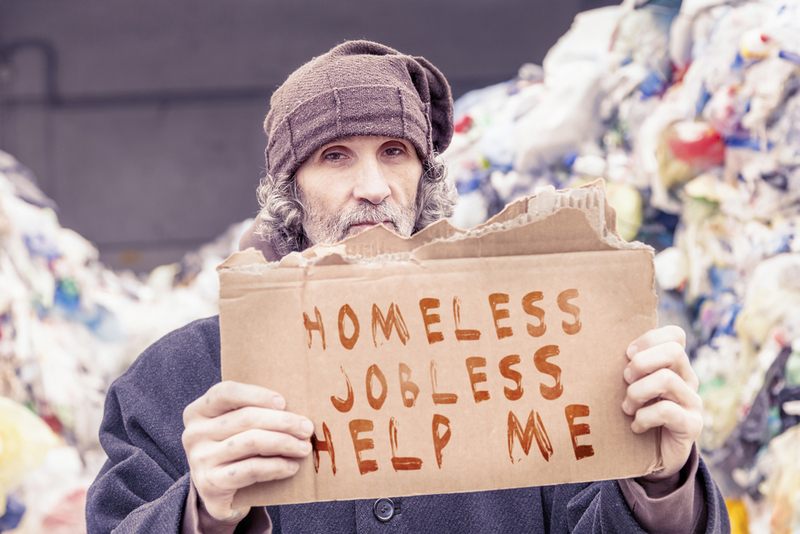 Oftentimes, homeless individuals can’t find employment without a permanent address — but they can’t maintain a permanent address without a job. However, the sustainable development business model adapted by TEP is a step toward breaking that cycle. Since the nonprofit’s founding in 2012, it has employed 30 people, distributed over 10,000 coats to homeless individuals across 30 states and four Canadian provinces, and helped 75 children who can now grow up in stable homes. So, how does a business model like TEP’s make lasting change? First, let’s talk about sustainable development. Sustainable development “meets the needs of the present without compromising the ability of future generations to meet their own needs,” says the International Institute for Sustainable Development. Here’s what that means: if homelessness in America is a staggering problem, then we need to implement programs that help homeless adults and their families now — and that set them up for stable success moving forward. TEP meets this objective by taking on the “risks” that other employers aren’t willing to take — namely, employing a person who doesn’t have a stable work history or means of transportation. Additionally, because TEP pays a living wage during training and employment, its employees can depend on a steady income that helps them transition from temporary shelters to permanent housing. Eljeana Lee’s return to full-time employment and permanent housing may have been far more tumultuous without TEP. TEP is just one part of a nationwide push to employ homeless people. Red Tail Coffee, a coffee shop in Fort Collins, CO, has provided job opportunities to homeless and home-at-risk citizens in its community since 2014. In Albuquerque, NM, a city van drives to popular panhandling locations twice a week to offer temporary employment for a day’s worth of beautification projects in the city. At the end of the day, the van drops workers off at St. Martin’s Hospitality Center, a nonprofit that connects people with services for housing, full-time employment, and mental health. And in April, Los Angeles Mayor Eric Garcetti ordered city departments to hire thousands of new employees over the next three years. His focus: recruiting people who have been homeless, have criminal records, or face other challenges in finding employment. Garcetti’s executive order also incorporates a solid level of follow-through — city department general managers and directors have to submit hiring plans by September 30. Sustainable development projects paint a picture of individuals, businesses, and governments that want to support community members who need the most help. Public services are one part of the solution, but active moves to gainfully employ homeless people — as demonstrated by TEP, Red Tail Coffee, and the city of Los Angeles — will do more than just generate steady incomes. Stable employment will feed children, house families, and boost people’s self worth as they regain control of their lives and their futures. Above all else, everyone deserves some warmth — and a second chance. "We believe in giving second chances to those who want it, and providing warmth to those who need it."